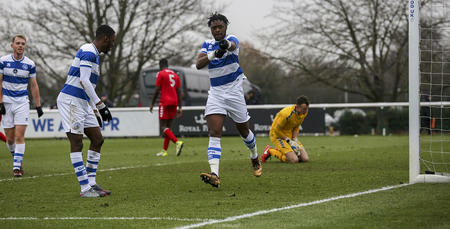 QPR UNDER-23S got back to winning ways after edging a five-goal contest with Cardiff City on Monday. 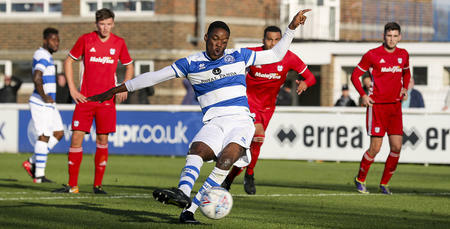 Aramide Oteh, Chay Tilt and Ilias Chair were all on target at Harlington as Paul Hall’s side secured a third straight home win in the Professional Development League. It didn’t take long for Rangers to get going – less than a minute in fact! Oteh was upended by Cardiff goalkeeper Matt Hall inside 30 seconds, before dusting himself down to tuck away the resulting penalty. The lead didn’t last long, though. Jamie Veale’s corner was met by Ciaron Brown, who guided his header inside the far corner. Rangers restored their advantage 17 minutes in. Tilt took full advantage of a misplaced pass before rifling a shot into the top left-hand corner. They went close to a third soon after but Chair shot wide from Charlie Owens’ inviting pull-back. Meanwhile, Cardiff spurned a gilt-edged chance to level the scores eight minutes before the break. Ibrahaim Meite broke the R’s offside trap but missed the target with the goal gaping. The visitors came even closer seconds after the re-start. Veale saw a header come back off the near post as Rangers rode their luck early in the second half. Tilt continued to cause Cardiff problems at the other end and it was his work which created the R’s third goal. His cross from the right fell kindly for Chair who, after jinking inside two defenders, coolly slotted home from six yards. The goal all but sealed victory, although Rangers had Marcin Brzozowski to thank when he denied Meite one-on-one seven minutes from time. 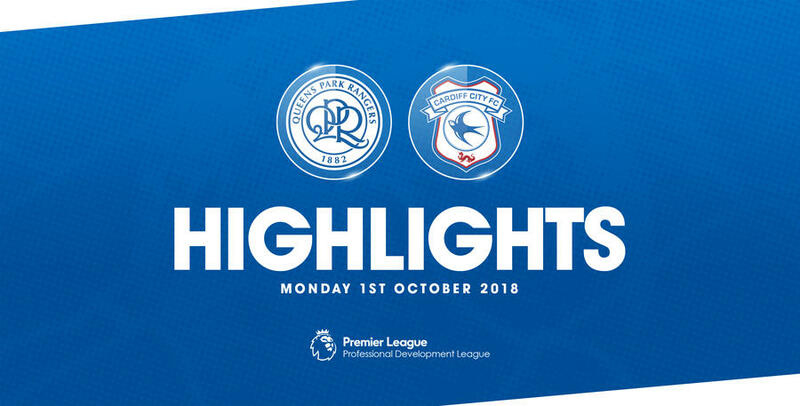 Cardiff did manage to pull one back in the final minute when Jack Bodenham headed in from another corner but it proved too little too late as Rangers held out. 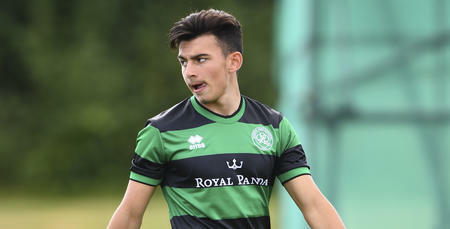 QPR U23: Brzozowski, Felix, Genovesi, Goss, Bassong (Wells 37), Omar, Tilt (Bansal-McNulty 73), Owens, Oteh, Chair, Dalling (Walker 60). Goals: Oteh 1 pen, Tilt 17, Chair 57. 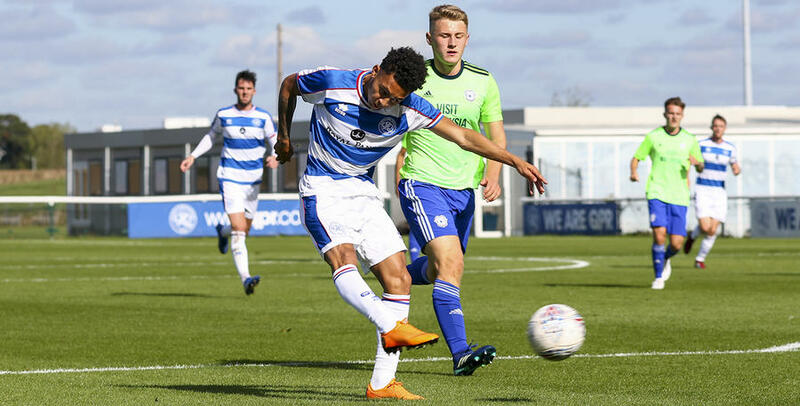 WATCH all the main moments from QPR Under-23s 3-2 win against Cardiff City.